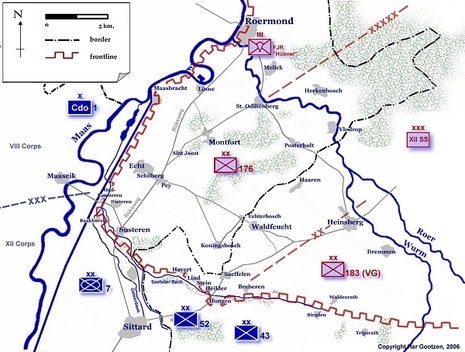 Operation Blackcock was the code name for the clearing of the Roer Triangle formed by the towns of Roermond, Sittard and Heinsberg. It was conducted by the 2nd British Army in January 1945 between 14 and 26 January 1945. 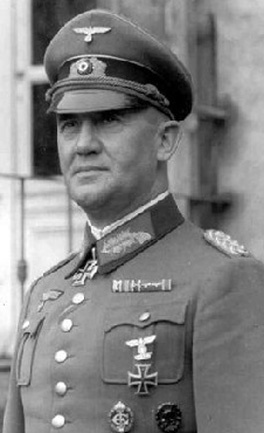 The objective was to drive the German 15th Army back across the Rivers Rur and Wurm and move the frontline further into Germany. 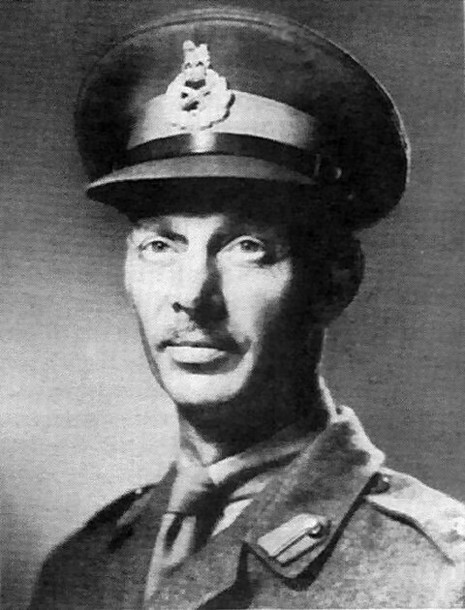 The operation was carried out under command of the XII Corps by three divisions, the 7th Armoured Division (better known as the "Desert Rats"), the 52nd Lowland Division and the 43rd Wessex Division ("Wessex Wyverns"). The operation, named after the Scottish black male grouse, is relatively unknown despite the sometimes fierce battles that were fought for each and every village and hamlet within the "Roer Triangle". For this Operation, the Division had under its command 8th Armoured Brigade, the 155th Infantry Brigade and later on 1 Commando Brigade. The plan was for 12th Corps to clear the German 176th and 183rd Infantry Divisions, well dug in with anti-tank guns, from a triangle formed by the rivers Roer, Wurm and Maas. The Division was on the left bank with 131st Brigade attacking northwards to secure Echt, Schilberg and Susteren. The plan was then for 22nd Armoured Brigade to break through north towards Montfort and St. Odilienburg.